Maybe I’ve told you, maybe I haven’t, but when it comes to cooking I’m a big fan of quick and easy. No fancy gadgets require please. Which is why I love crock-pot recipes – while not quick, they sure are easy. Put everything in one big pot, turn it on and walk away. Love. 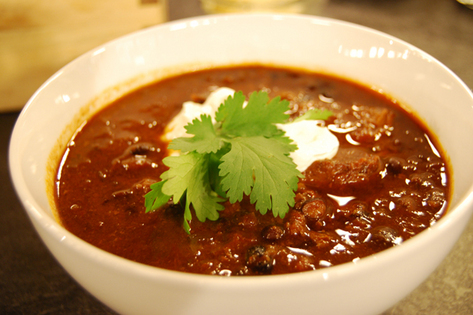 Here’s a great recipe I can’t wait to try: Slow-Cooker Texas Chili Recipe: Food Network Kitchens. Anything topped with sour cream and cilantro you can count me in!